We are now a dealer for High Country Plastics. Water tanks and more. 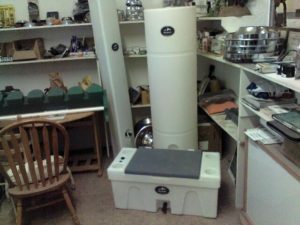 See their on line catalog at highcountryplastics.com. 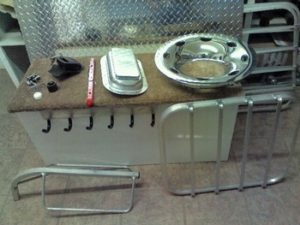 From lights to wheel covers, we carry parts. Lots of parts! We can order what we don’t have and many parts are available overnight. Some used parts are also available. 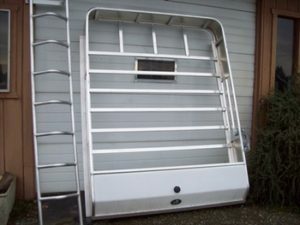 We have trailer balls, ball mounts, tie loops, vents, a wide variety of lights, door organizers, roof rack, water tanks and many other miscellaneous pieces. Ladders and hay racks with water tanks are among the accessories that can be added. 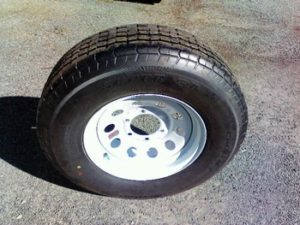 We can get spare tires and axles to fit most trailers.